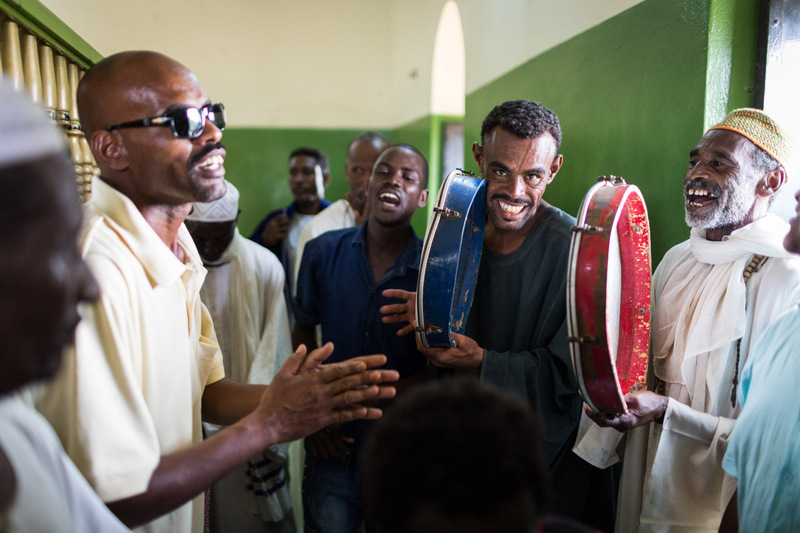 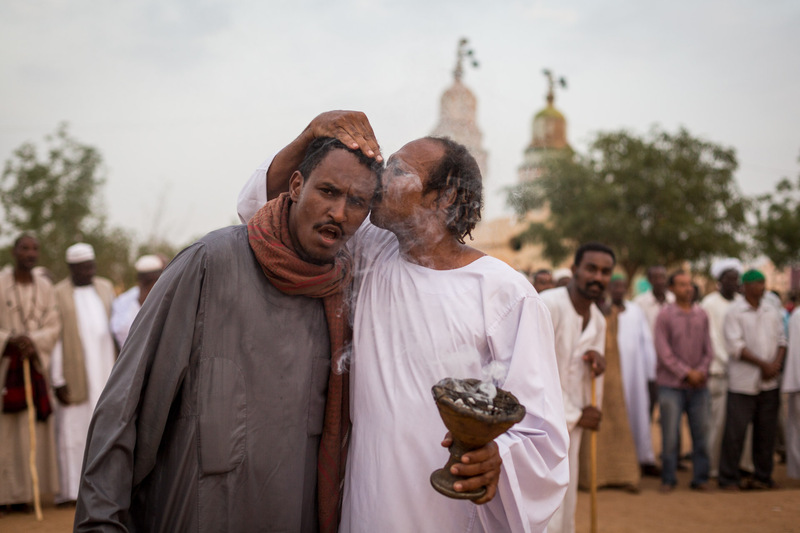 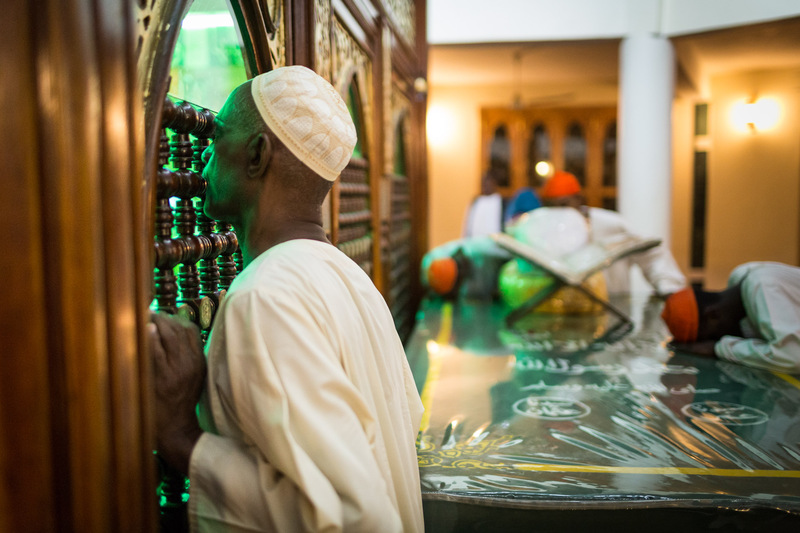 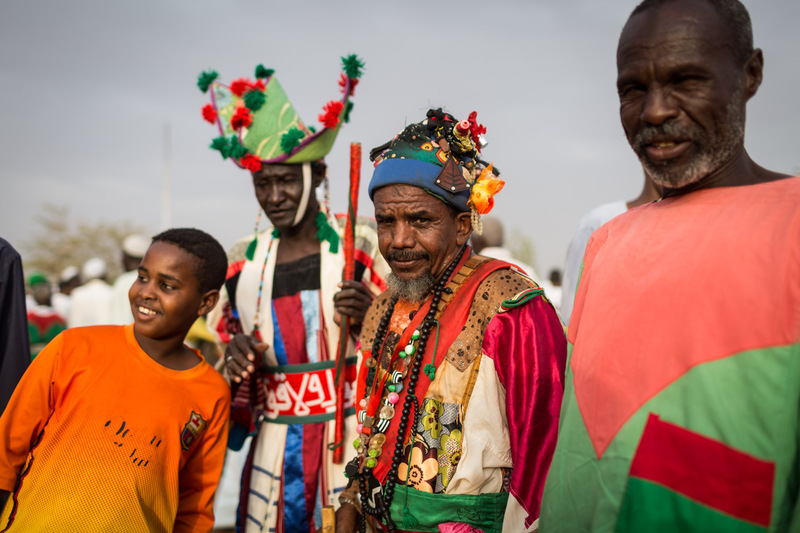 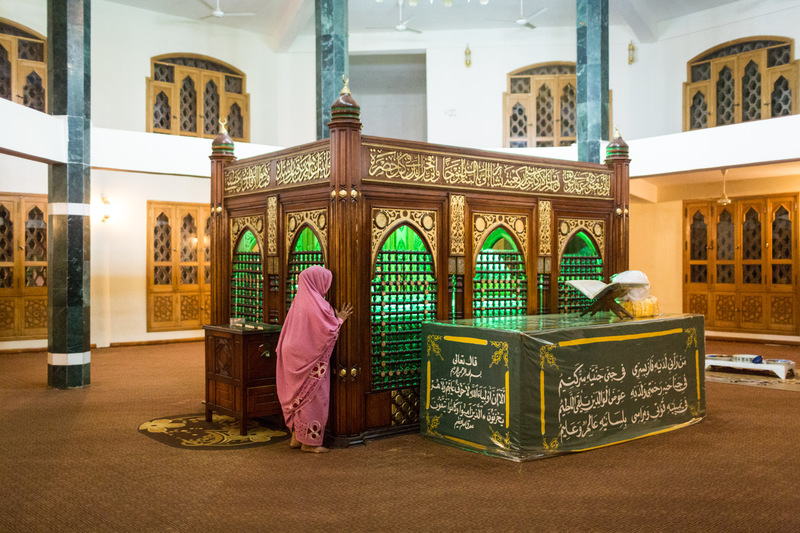 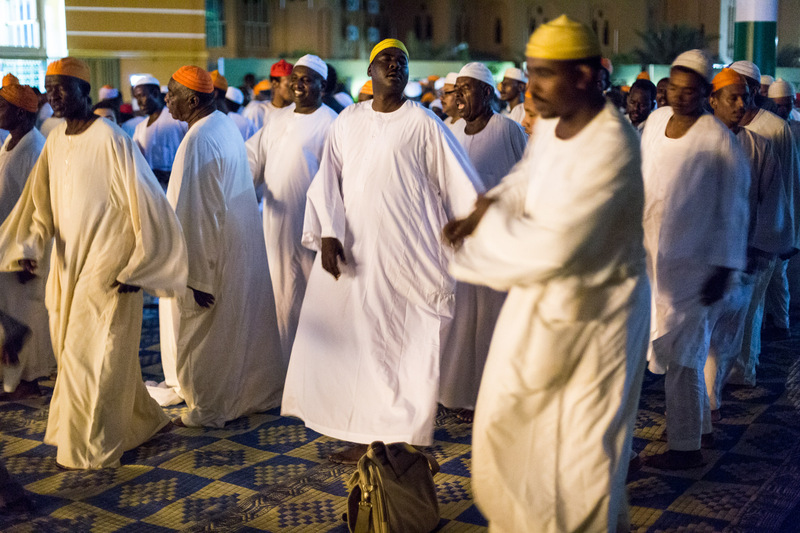 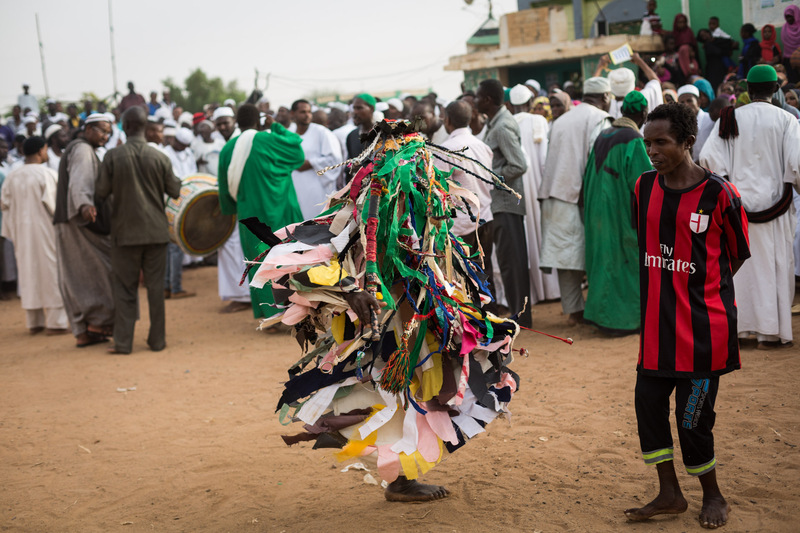 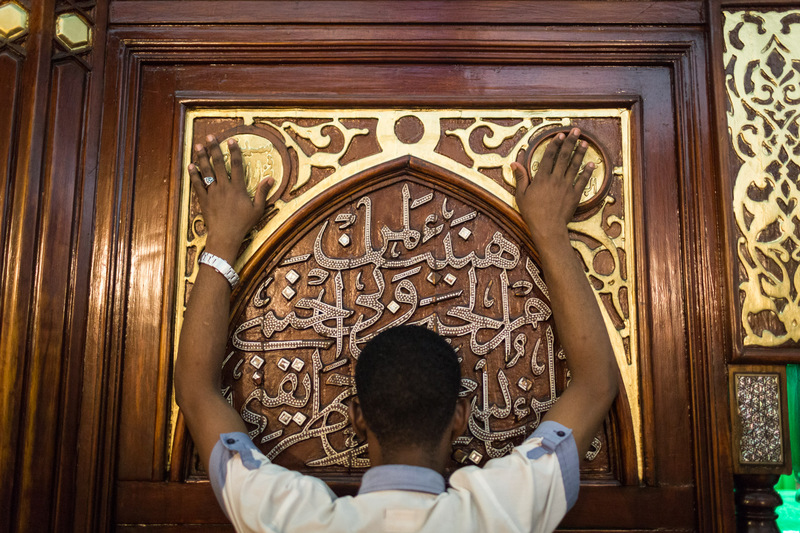 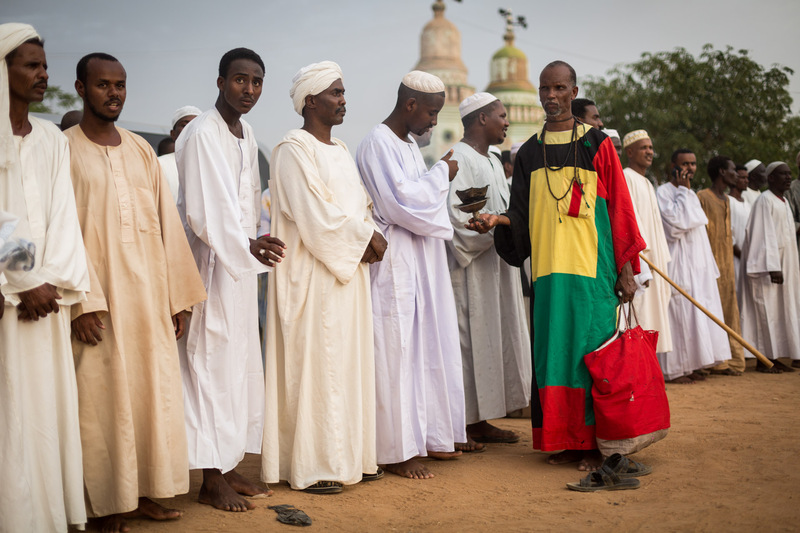 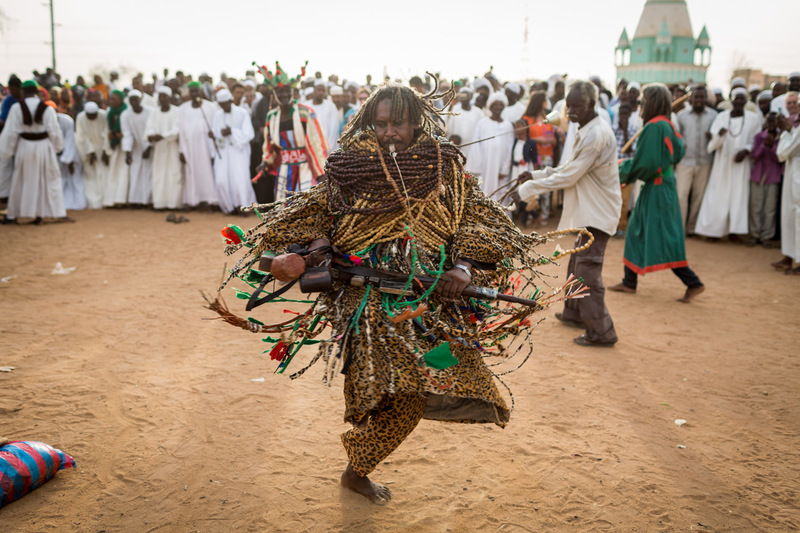 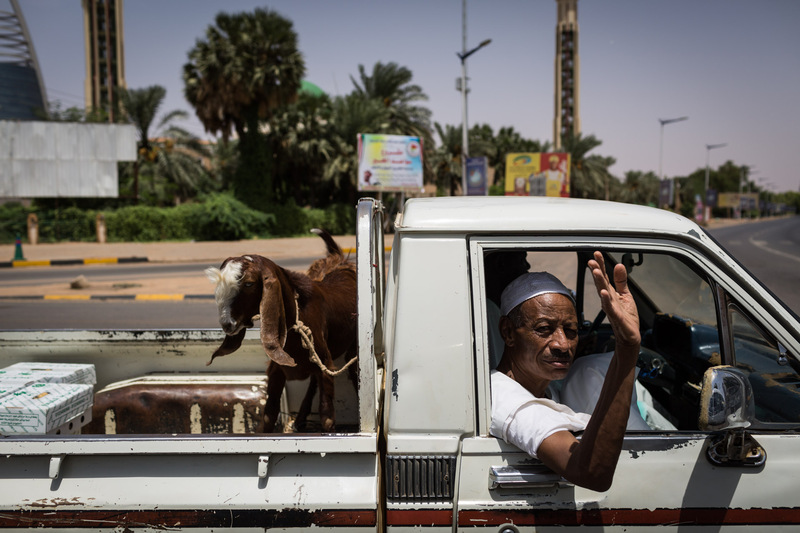 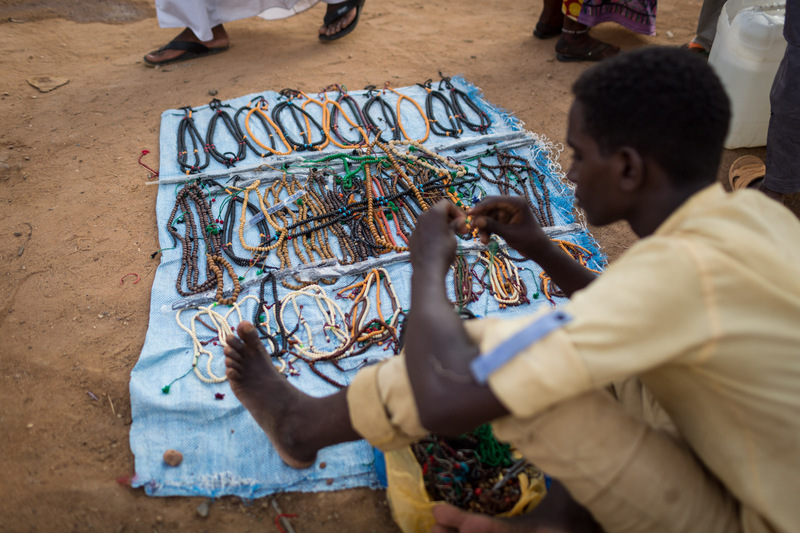 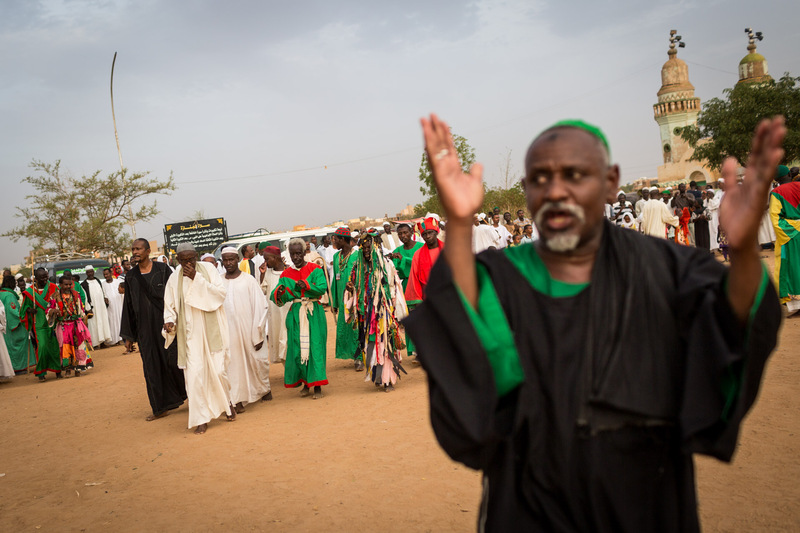 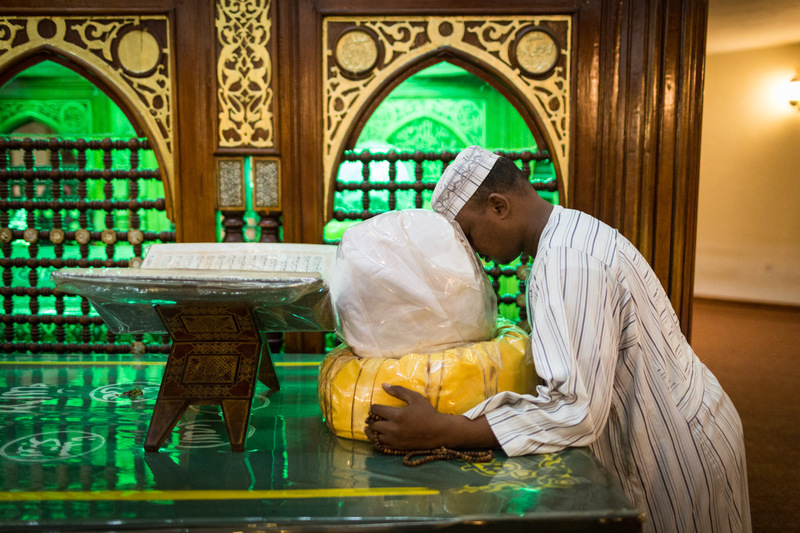 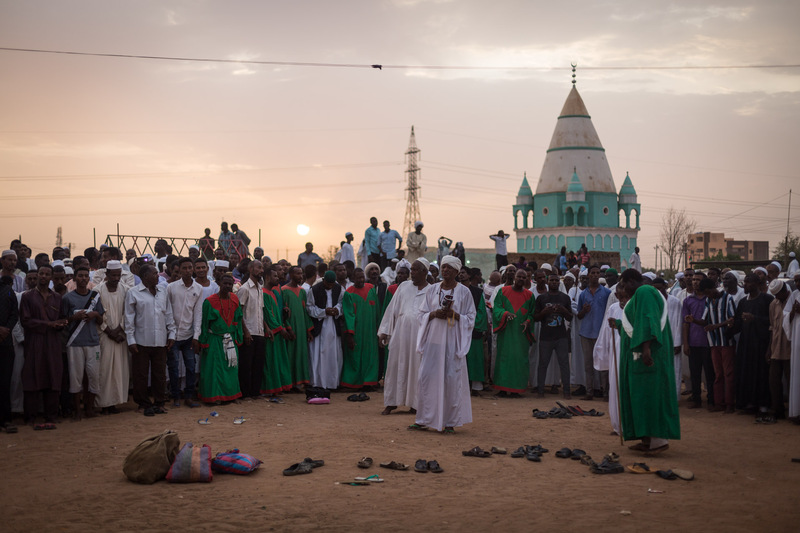 In Sudan, Sufism – a mystical way of performing Islam – has a long tradition. 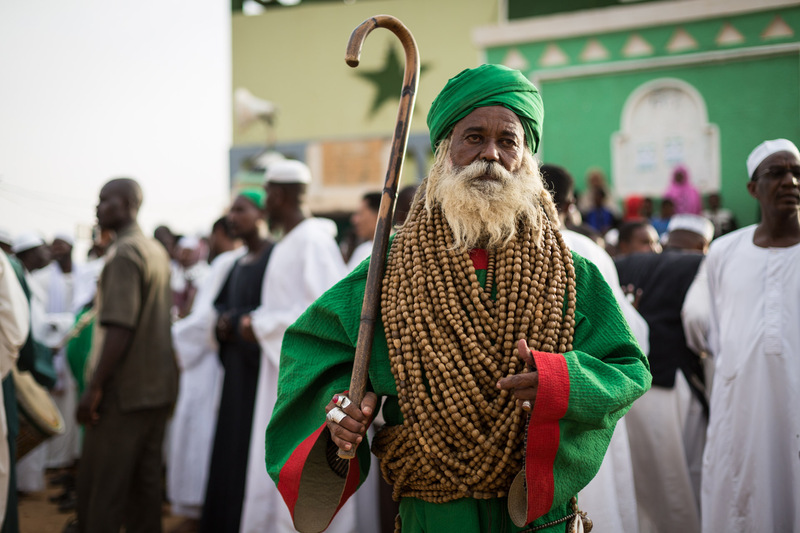 The followers of Sufism – called “Sufis” follow a grand master (“mawla”) and are congregated in orders (“tariqa”). 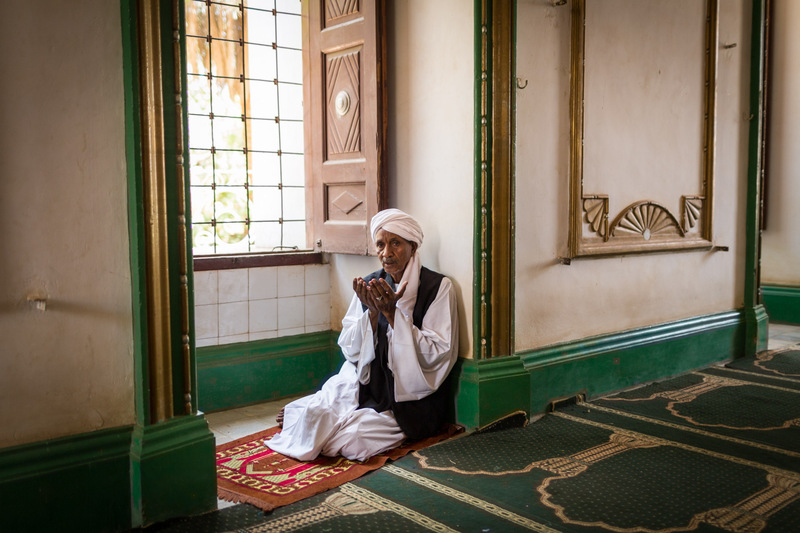 Sufis strive for perfection of worship (“ihsan”) by performing music, dance and meditational exercises. 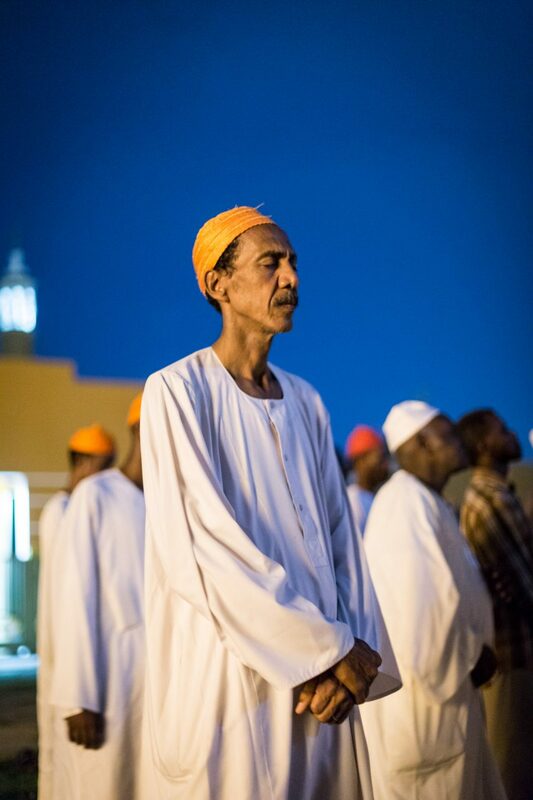 The orders meet for spiritual sessions regularly, and the session can take up to a whole evening. 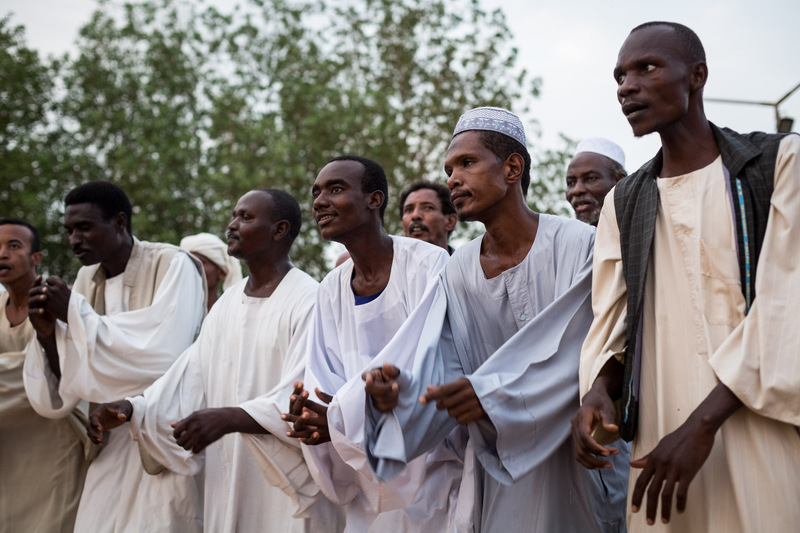 By dancing and singing verses from the Qu’ran or from Sufi poets collectively, they try to find a peaceful and intimate connection to god. 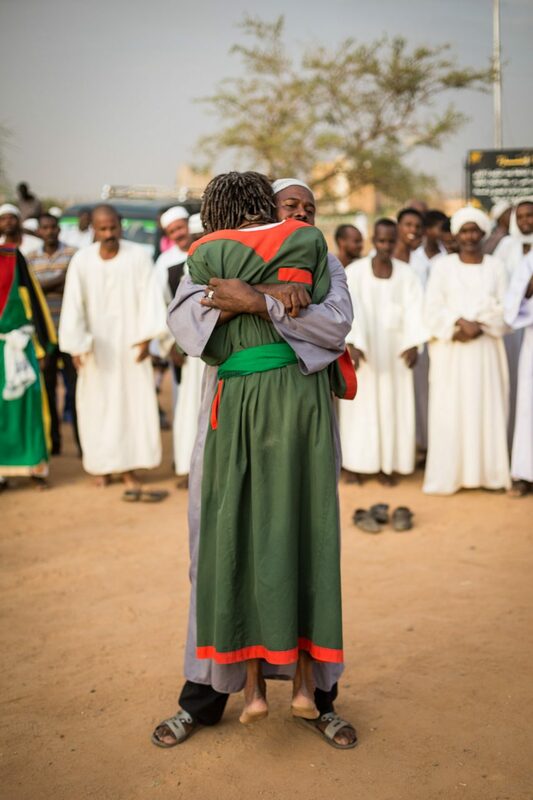 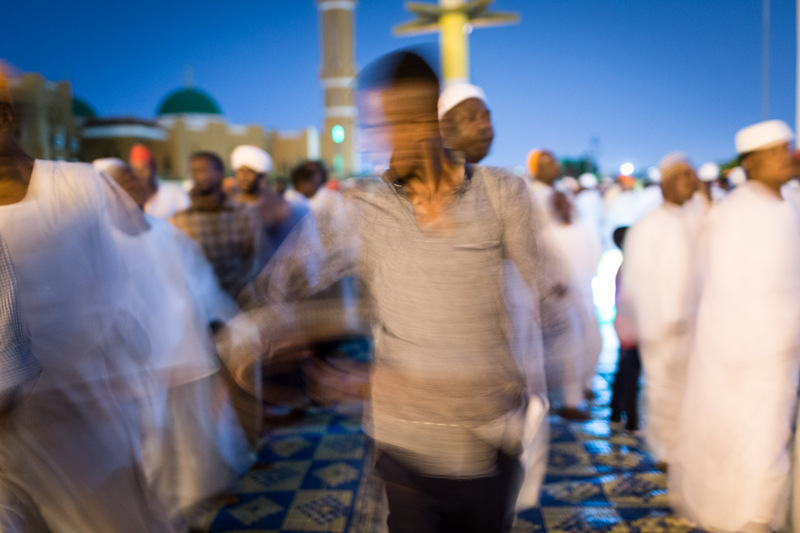 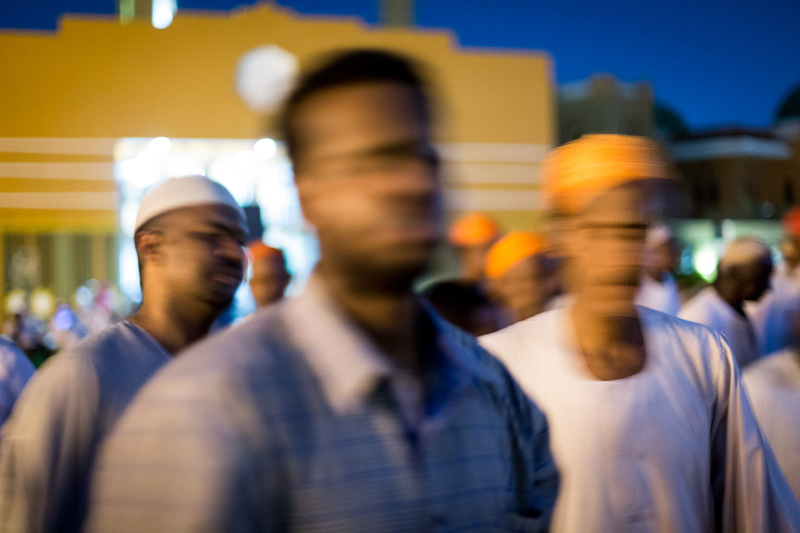 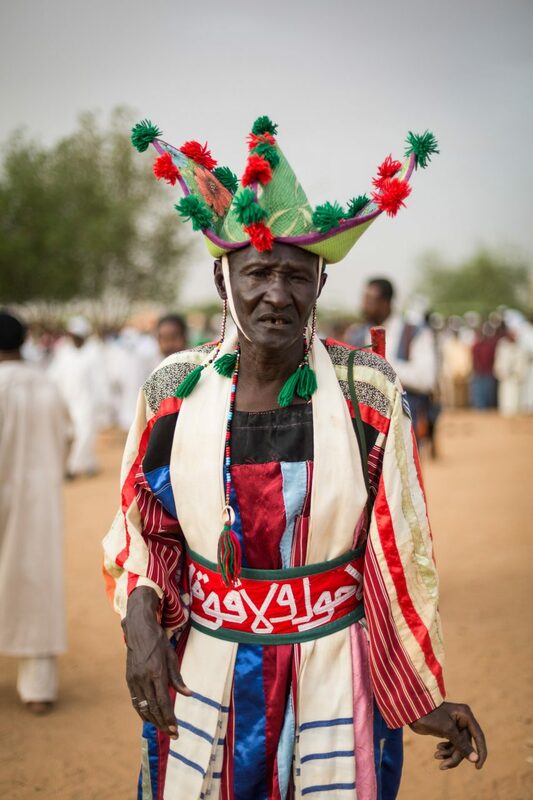 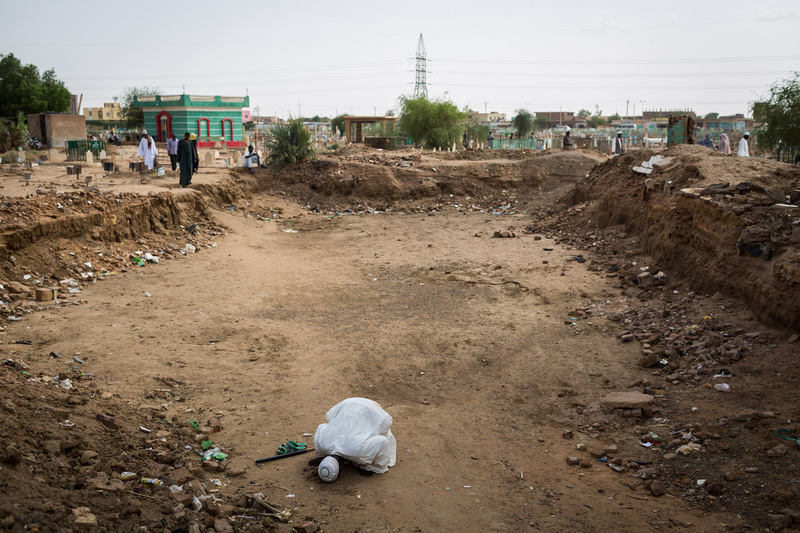 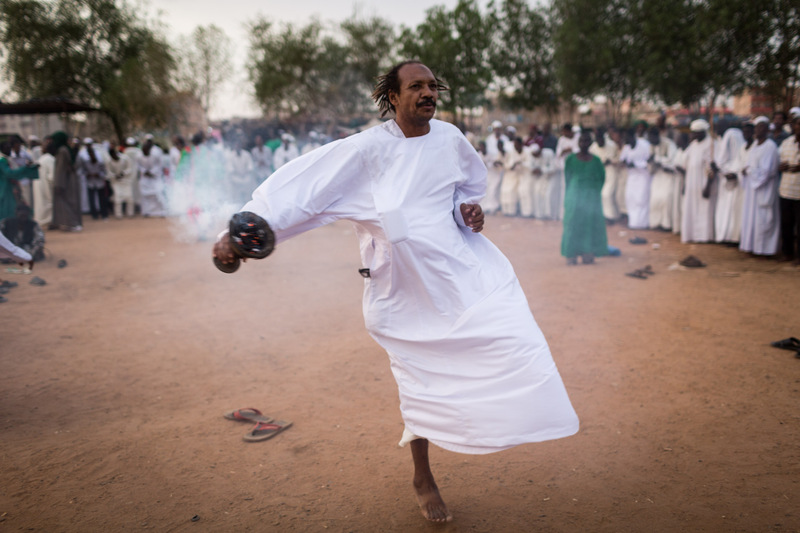 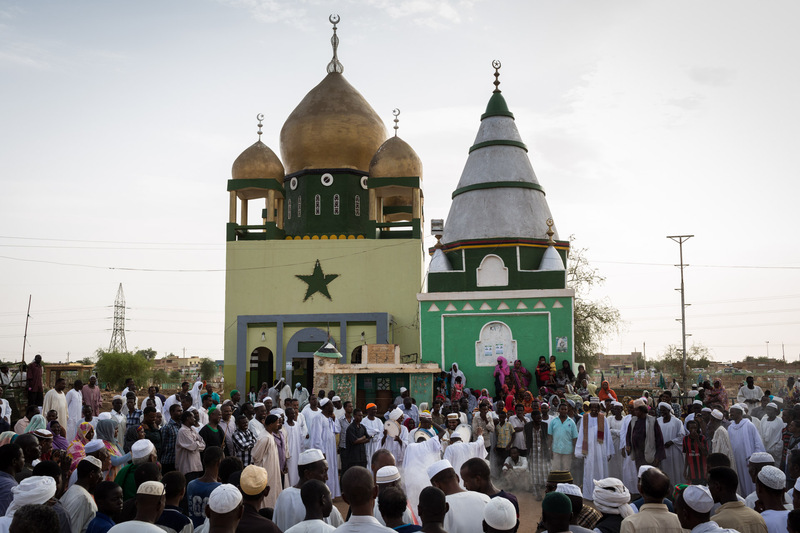 The session at the Hamed al-Nil cemetery every Thursday is one of the biggest in whole Sudan, as it is attended by hundreds of Sufis every week. 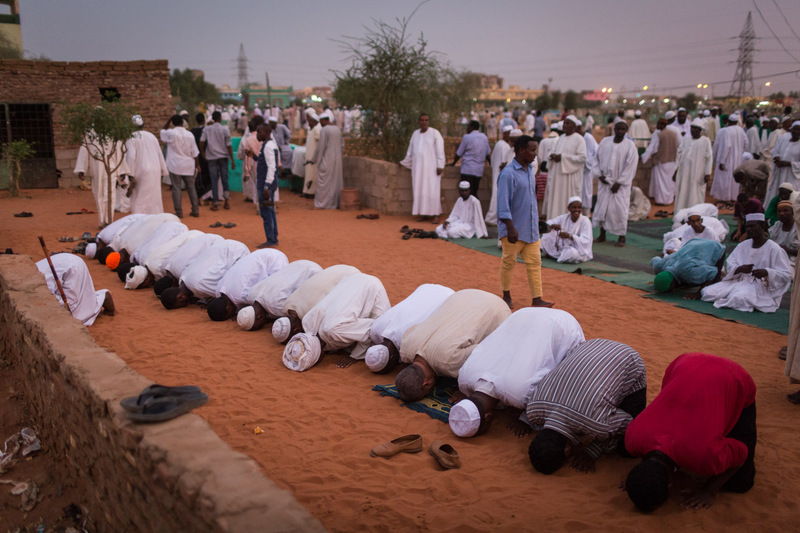 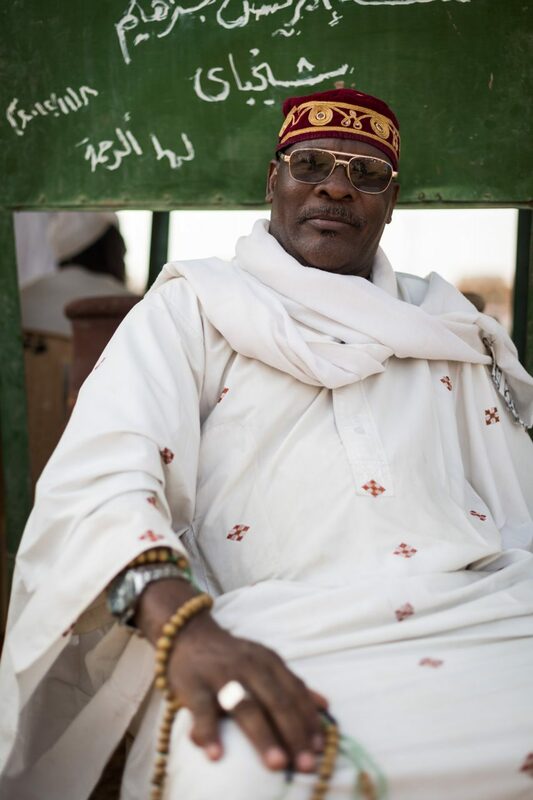 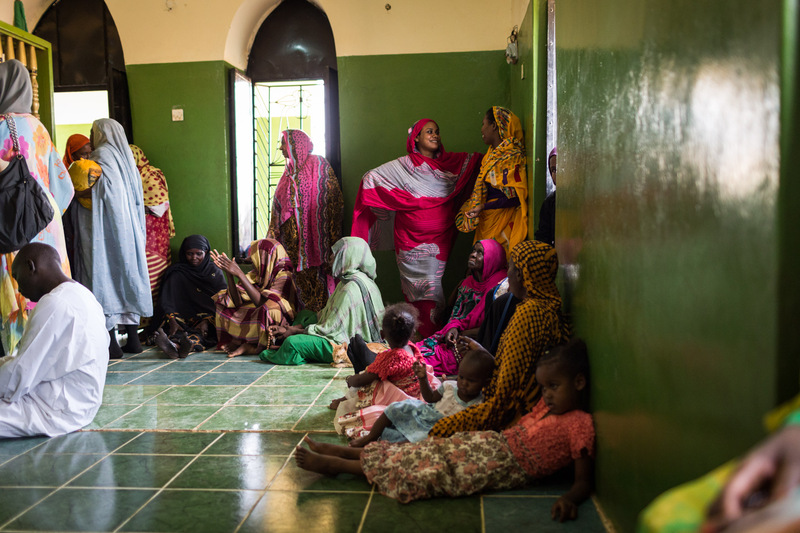 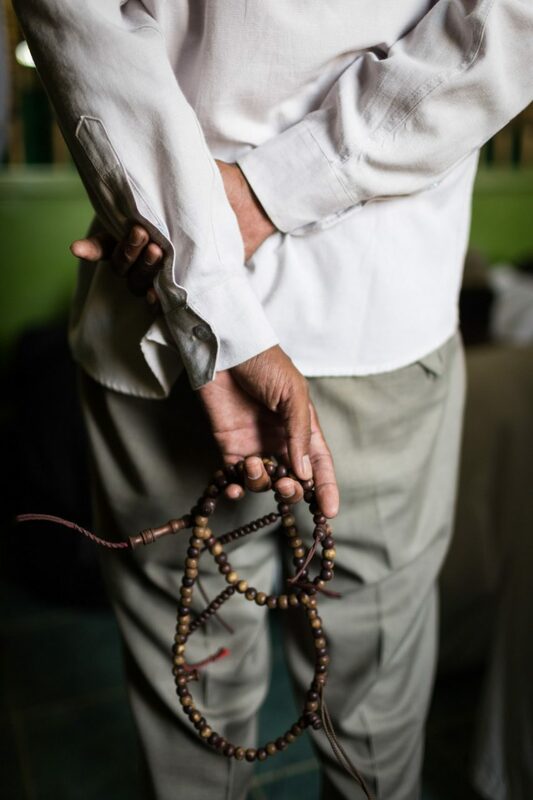 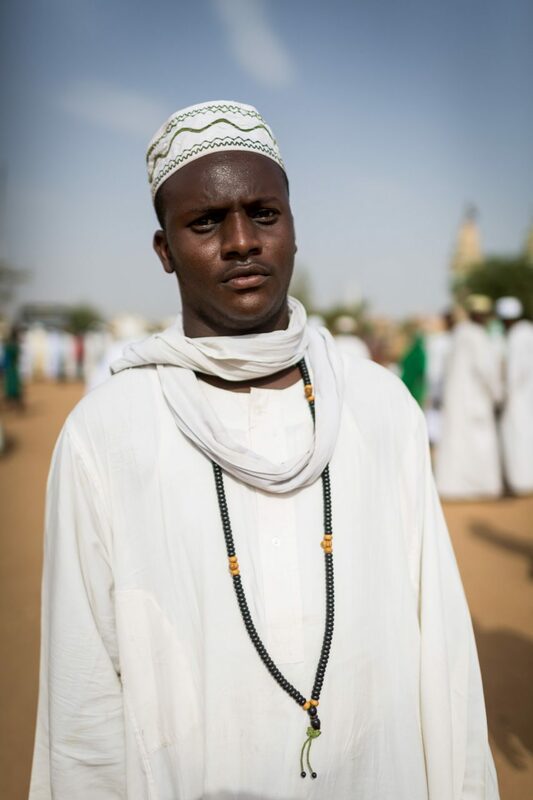 Since Sudan is ruled by a conservative Muslim brotherhood government, many of the Sufis in Sudan face exclusion and animosity by both authorities and strict Muslims in the country.